Friendly, peaceful Costa Rica is the southernmost country in Central America with an immense range of climates, flora and fauna of particular interest to naturalists from around the world. In 1948 Costa Rica voted to abolish its army and today proudly spends 60% of its budget on social services. It boasts a high level of sanitation and education, and is one of the most literate nations on earth. 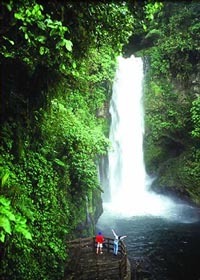 Deeply committed to ecology, Costa Rica has set aside nearly 30% of its land as national parks or as private reserves. It has long, sandy beaches on both coasts which are ideal for an active or relaxing vacation. 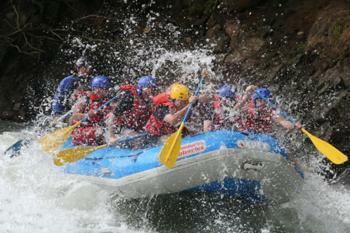 Costa Rica is an excellent family destination. Once you have savored the misty mountains, tropical rainforests, and warm, friendly "Ticos," you will wonder why you stayed away so long! We have a variety of transportation modes in order to accommodate every budget. Our Suggested Itineraries are quoted using the basic shuttle service, with supplemental rates quoted for upgrades to semi-private and private services. Comfortable, air-conditioned vehicles transport visitors between most destinations. The departures are usually in the mornings, and travelers are picked up and dropped off at their hotels of choice, and are assisted by bilingual attendants. The Shuttle Service is operated by an independent company, all departures are guaranteed, and vehicles vary from mini-vans, micro-buses to 40 passenger motorcoaches, depending on group size. The Direct Transfer Service is an economical alternative to the shuttle service and is a privately operated service of our own. The bilingual drivers are experienced and courteous, but they are not guides. All departures are guaranteed, and the vehicle size may vary from late-model cars to vans to micro-buses. Pick-ups and drop-offs are limited to a maximum of three each, which will also limit the group size. Most departures are in the mornings, with a few exceptions. For those who desire personalized service and flexible schedules, we offer transportation all around Costa Rica via private four-wheel-drive vehicles (depending on the number of passengers) with expert, bilingual drivers. Our drivers are experienced and courteous, but they are not trained guides, and are not expected to perform guide services. 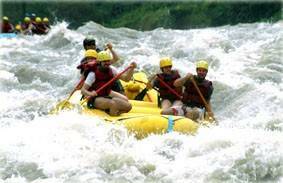 Quotes for private guide services, in addition to the drivers, are available upon request. 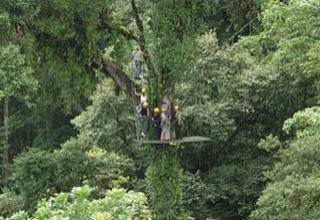 We can quote a self-drive program to Costa Rica upon request. Vehicles will be dropped off and picked up at the hotels, and our representatives will review all contracts and paperwork with the travelers. All of the vehicles are four-wheel-drive with manual or automatic transmissions. However, this mode of travel is not for everyone. Driving conditions in Costa Rica are not ideal, and many roads are not paved. Even where roads are paved, the surface is not always well maintained. Some say that the signage in Costa Rica is poor, whereas we maintain that it is almost non-existent. Once outside of the major urban and tourist areas, most "Ticos" do not speak English, and trying to get driving directions can be challenging. Tortuguero National Park is on an inland waterway, and is accessible via air or boat only. The Osa Peninsula is accessible by air only. Road conditions have improved, and the Costa Rica government is making a major effort to upgrade the roads. The main thing to remember is that a rental vehicle will not save you money, after factoring in the very high insurance rates and gasoline. This kind of travel should be a life-style choice, not an economic choice. Some areas of Costa Rica are served by air, and are indicated with the airplane icon on the map above. 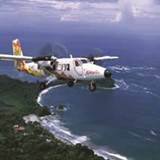 Certain destinations, such as the Nicoya and Osa Peninsulas are technically accessible by road, but the roads are in such bad conditons that we have packaged them as fly-in destinations only. Checked luggage is restricted to 25 pounds per person. Founded in 1738 San Jose is the capital and largest city of Costa Rica, and is at the heart of the sprawling Gran Area Metropolitana located in the Central Valley. 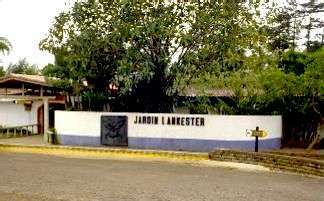 San Jose is the seat of national government, the focal point of political and economic activity. The city lies at a mean elevation of 3800 feet above sea level, and enjoys a stable climate throughout the year. Because of its elevation San Jose is usually 70 to 80 degrees Fahrenheit though it can get chilly at night. The rainy season is from mid-April through December, with September and October being the rainiest months. 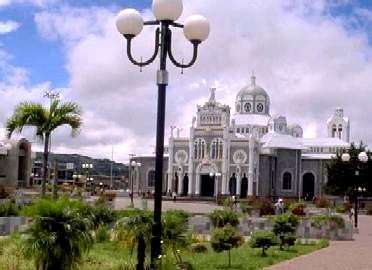 colonial capital of Costa Rica. Even though the international airport near Liberia on the northern Pacific coast has greatly expanded its capacity in the last year, San Jose, via the Juan Santamaria airport is still where most people arrive. The city is ringed by lush green mountains, valleys, and quaint towns. The population of this city is probably half of the whole country and contains the University of Costa Rica, the US' and other embassies and many museums, cultural venues, hotels, markets, etc. Our downtown hotel selections are in the Amon District, also conveniently located for the National Museum and many shops, and approximately 30-45 minutes form the airport, depending on the traffic. Our hotel selections outside of San Jose in the central valley are no more than 15 minutes from the airport. 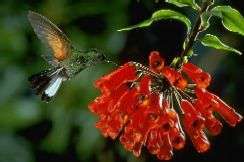 Besides the San Jose City Tour, there are many fun and interesting excursions around San Jose, such as the Butterfly Farm, Britt Coffee Plantation, Poas and Arenal Volcanoes and La Paz Waterfall Gardens, just to name a few. Many visitors to San Jose are pleasantly surprised with the variety and sophistication of the cuisine and many outstanding dining options. 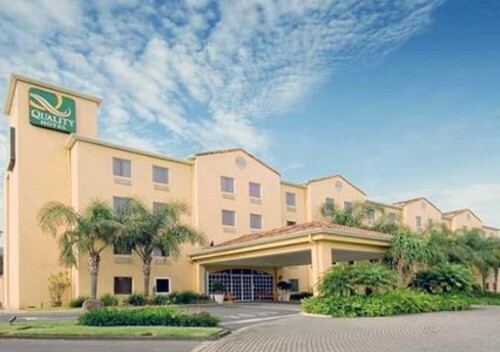 Quality Hotel Real is conveniently located in the heart of the new business district of San Jose, in front of the Business Center Forum, and within 15 minutes of Juan Santa María International Airport - SJO. The Multiplaza Mall, the biggest mall in Costa Rica, is just five minutes away, while one of the finest golf courses, Valle del Sol, is three minutes away. The hotel's 154 guest rooms, including 16 extended-stay rooms, are all thoughtfully appointed and feature an array of modern amenities. Amon Park Plaza is a comfortable hotel situated in the historic district of Amon in San Jose. It features 90 rooms and suites equipped with air-conditioning, complete bathroom, minibar, and cable TV. 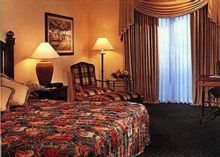 The hotel also offers restaurant, two bars, casino, gift shops, parking, and conference rooms. 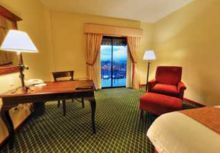 Courtyard by Marriott is a hotel that surrounds travelers with conveniences that make business and pleasure travel easy. 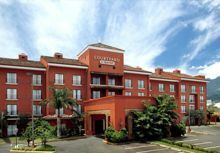 The hotel is conveniently located five minutes from downtown San Jose next to a shopping/dining and nightlife plaza, close to most industrial parks and international companies and nearby Costa Rica attractions such as volcanoes, rainforests and coffee tours. This warm and inviting hotel is tastefully decorated in colonial decor reflecting Costa Rica's distinctive cultural heritage. The Doubletree Cariari sits on 134 acres of lush landscaped grounds and gardens. The hotel has 220 oversized guest rooms, including 24 suites. In additon to three restaurants: Las Tejas Coffee Shop, poolside Los Mariscos Restaurant-Bar, and Los Vitrales specializing in international and Northern Italian cuisine, there is also an 18-hole golf course designed by George Fazio. Other facilities and services include: Casino, nine tennis courts, business center, gift shop, 24-hour room service, health club with olympic pool, sauna, spa, beauty parlor, babysitting, laundry and valet service, children's playground, currency exchange, and car rental desk. 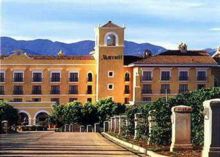 Marriott San Jose is a colonial-style deluxe property situated on a 30-acre coffee plantation on the outskirts of San Jose. It features 252 elegant, spacious rooms and suites appointed with colonial motifs and equipped with air-conditioning, complete bathroom with hair dryer and bathrobes, minibar, cable TV, and balcony. 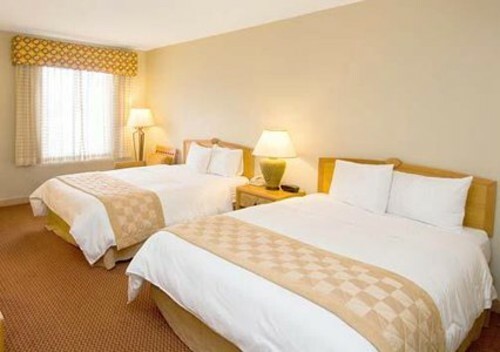 The hotel also offers three restaurants, two bars, 24-hour room service, gourmet coffee house, two swimming pools, garden Jacuzzi, health club, three tennis courts, driving range and golf pro shop, boutiques, beauty salon, chapel, valet parking, free shuttle to downtown, and conference rooms. Finca Rosa Blanca Country Inn is situated on ten lush acres of exotic tropical flora above Costa Rica's beautiful Central Valley. Surrounded by towering Higuerón trees, the Inn offers spectacular views of volcanoes, cloud forests and coffee plantations. The Rosa Blanca Master Suite is a stunning duplex, with the sleeping quarters occupying a tower 40 feet above the ground with a 360-degree view of the surrounding verdant countryside. 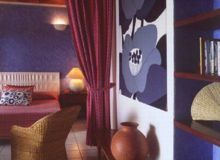 In addition, the Inn offers three elegant, yet whimsical junior suites, two spacious villas, and three uniquely appointed double rooms, each with its own private veranda. Xandari Resort & Spa is a deluxe, secluded property situated on a former coffee plantation with stunning views of the Central Valley, yet only 15 minutes from downtown San Jose. Nineteen elegant and unique villas feature custom-designed furniture, original works of art, large panoramic view terraces, and walled-in patios. The hotel also offers international restaurant, bar, two swimming pools, gym, massage service, library, and extensive grounds with scenic trails and dramatic waterfalls. Prima Villas are spacious villas of approximately 500 sq. ft in a four-plex building. Most Prima Villas have two full beds, and two Prima Villas have king beds. 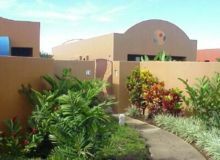 All Prima Villas have private terraces with panoramic views of the Central Valley, an enclosed terrace on the entry side of the villa, and a bar/kitchenette with a small refrigerator. Prima Plus Villas are similar to the Prima Villas (500 sq. ft) but they are individual buildings. In addition to large, private view terraces, they have private gardens on the side and in the rear, large, double-sink bathrooms opening to the gardens, and additional storage space. They also have a built-in sofa that can be used as an extra bed. An electric cart is available for transportation uphill 200 meters to the main building, restaurant and swimming pools (does not apply for villa # 20 which is near the west pool area). 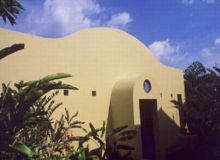 Note: The Allamanda (yellow trumpet flower) Villa #20 is in an individual building with a dramatic palm roof. Ultra Villas have a king-bedded sleeping alcove with a Central Valley view on one side and a private garden on the other side. 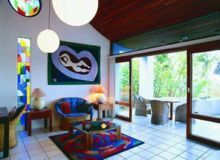 All have private terraces with panoramic views of the Central Valley, an enclosed terrace on the entry side of the villa, and a bar/kitchenette with a small refrigerator. Ultra Plus Villas are the newest villas and are approximately 820 sq. ft., located near the Spa Village. 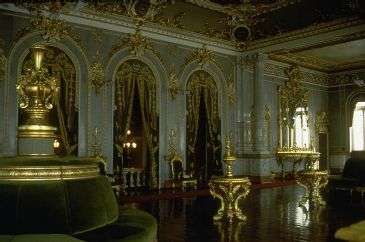 They have a king-bedded master bedroom with a Roman bath overlooking a private garden, as well as a separate shower. The living room has a bar, kitchenette, spacious balcony and two comfortable sofa beds that will sleep an additional two people. 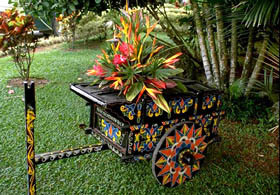 An electric cart is available for transportation the 200 meters uphill to the main building, restaurant and pools.  Located outside San Jose Metropolitan area. Notes: All tours require a minimum of two participants unless otherwise specified! Child rates apply to children 6-10 years of age. Some tours have a minimum age for children as noted. 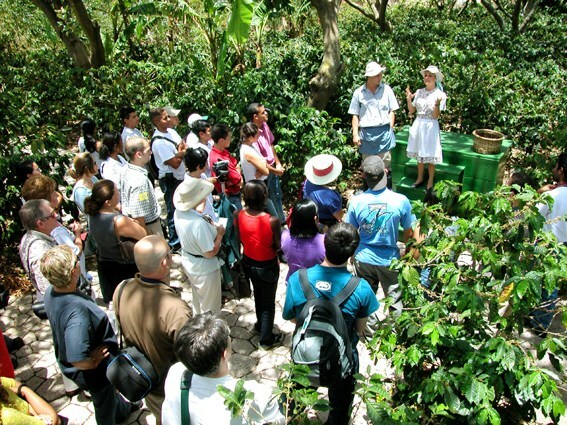 Day Tour Departures - see Optional Tour Descriptions and Rates PDF above for details. On this half-day motorcoach tour of San Jose visit the beautifully restored National Theater originally built by coffee barons in the late 1800s, the adjoining Plaza of Culture, and the downtown commercial area. Explore the National Museum, which houses one of Costa Rica's largest collections of Pre-Columbian art. Drive through suburban areas of the capital city and the University of Costa Rica campus before making a stop in Moravia to browse the well-known leather shops. Includes: Transportaion, entrance fee, multimedia presentation, Molinete River hanging bridges, naturalist guide and breakfast or lunch depending on tour time. Recommended: Long pants, sneakers, sun block, insect repellent, and raincoat. 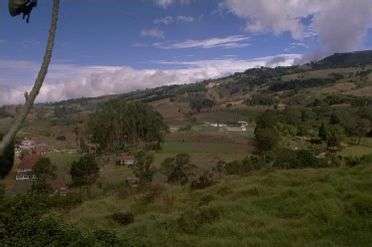 You will first drive up the Pan American Highway, passing plantations of coffee, bananas, mangoes and sugar cane. 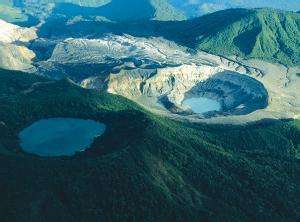 Climb the 8,878 feet (2,708 meters) to reach the active Poas Volcano. . The well-maintained paths surrounding the volcano introduce you to the exuberant vegetation of Costa Rica's cloud forest and secondary forest. 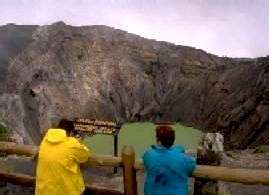 On a clear day, look for the lake at the bottom of the crater, whose muddy waters change colors depending on the degree of volcanic activity. 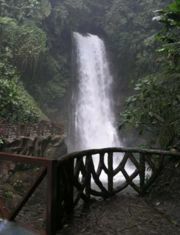 Peace Lodge is located on the grounds of La Paz Waterfall Gardens Nature Park and includes use of all the amenities of the park. The rooms are designed with unique features such as oversized balconies, Jacuzzi tubs, waterfall showers and stone fireplaces. 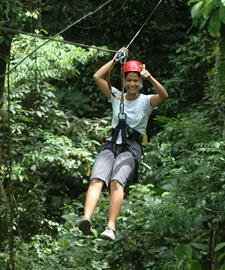 You will experience the true essence of the rainforest through each of the rooms. 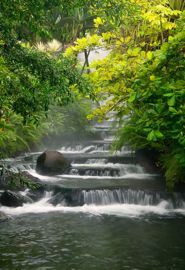 Guests will wake up in the rainforest to the sound of waterfalls rather than the city noise of San Jose. 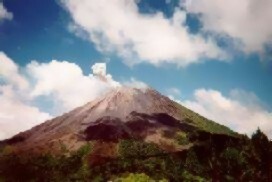 The trip to/from Arenal is via paved road all the way to La Fortuna and the drive is less than two hours. The very scenic drive to/from San Jose airport is less than one hour. Standard Rooms: These 650 sq. ft. rooms feature a king-size canopy bed facing a grand gas fireplace. 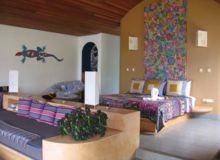 The interior design of the room is only surpassed by the view from the balcony of the La Paz River Valley and the Poas Volcano. The best way to enjoy the view is from the Jacuzzi tub or swaying in the hammock on the balcony. The bathroom has an oversized mosaic tiled tub and elaborate waterfall shower. 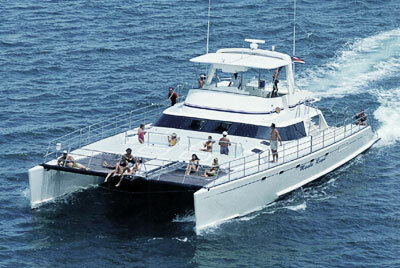 There is also satellite TV, stereo system, refrigerator, and coffeemaker. 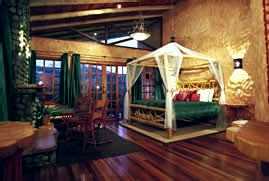 Deluxe Rooms: For those who want to feel the rainforest even when they are inside, this is the room! This 800 square foot room has an unbelievable garden bathroom designed for the true nature lover. 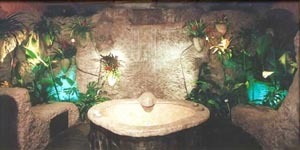 A seven-foot waterfall comes to life as you are soaking in the Jacuzzi tub in the garden. There is also a garden shower and indoor shower. All of this is surrounded by beautiful indoor landscaping and illuminated by a skylight. 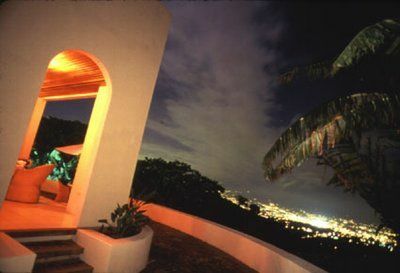 The room also has a Jacuzzi tub and hammock on the balcony for those picture-perfect star-gazing nights. A grand gas fireplace to view from the king-size canopy bed makes the room complete.